“If you can’t handle me at my worst…..” You’ve probably spotted this quote on Facebook or Twitter. Did you know that this famous quote is attributed to Marilyn Monroe? Born in 1926 as Norma Jean Mortenson, this famous woman starred in many blockbusters in her time. She was married and divorced twice to Joe DiMaggio and Arthur Miller. 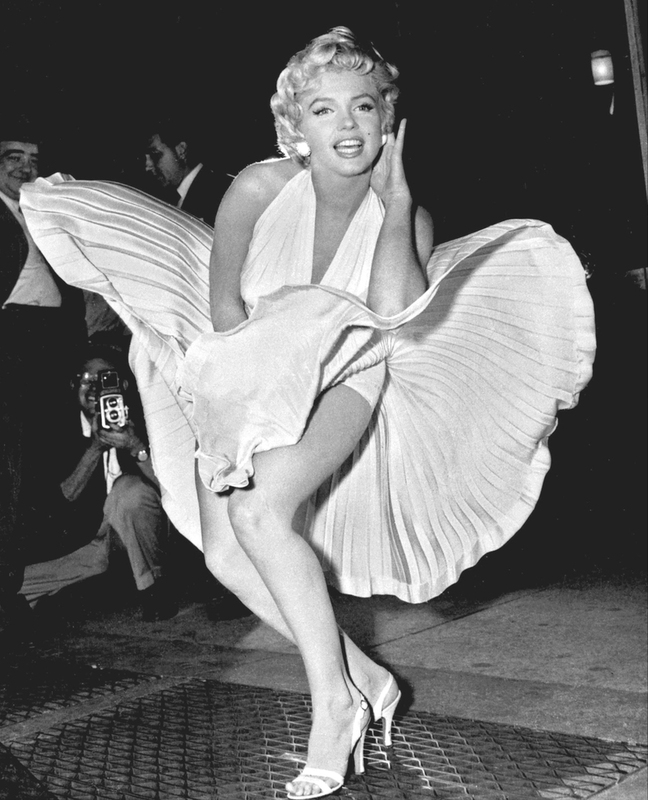 Monroe died in 1962 after overdosing on barbiturates. To get a glimpse of the fast life Marilyn Monroe lived in her prime, we take a look at her quotes. This quote “If you can’t handle me at my worst ...” is often used in the early stages of romance. It is often used in parody mutated and used for different situations. The source of the original quote is unknown, but is often attributed to Marilyn Monroe. The phrase became quite popular with the advent of online dating. Many people used it in their bio in both the original and mutated versions as a warning to would-be suitors. The phrase also appeared on Reddit in reference to images of domestic violence. From 2009 to 2011 pictures of Marilyn Monroe with the quote appended begun circulating on Tumblr. Later, more outlandish versions of the quote became popular on Tumblr as the original quote started becoming less popular. There are various versions attributed to television characters, celebrities and anime characters that are posted on Instagram, Tumblr and Pinterest. One of the most popular mutations is “If you can’t handle me at my spookiest, then you don’t deserve me at my dootiest”. It originated on Reddit under a July 12th, 2015 post by DonTori. It featured a GIF of a skeleton with a bone flute, and the original words are "If you can’t handle me at my flootiest, then you don’t deserve me at my dootiest". Members of the subreddit copied the format of the post over 60 times with the word “flootiest" substituted and “dootiest” remaining the same. This became one of the most popular mutations. If you can’t handle me at my diddliest, then you don’t deserve me at my dootiest. If you can’t accept me at my Chola, then you don’t deserve me at my Selena. If you can’t handle me at my left shark, then you don’t deserve me at my right shark. If you can’t accept me at my Lindsay Lohan, then you don’t deserve me at my Beyoncé. If you can’t handle me at my hungriest, then you don’t deserve me when I’m full. If you can’t handle me at my winter, then you don’t deserve me at my summer. While many women love this quote, some men see it in a different light. Many men feel that women use this quote as an excuse to be bad girls. Everybody has flaws and there’s really no excuse to beat up or abuse someone for the flaws, but nobody has the right to act like a jerk and expect others to deal with it. Everyone should try to tone down their less desirable qualities for the good of everyone. You wouldn’t put up with someone insulting or hitting you just because they had a bad day, would you? Besides the famous quote "If you can't handle me at my worst, you don’t deserve me at my best", here are many other fascinating quotes of Marilyn Monroe. A wise girl knows her limits but a smart girl knows that she has none. Too often they don't realize what they have until it's gone. ......they're too stubborn to say, "Sorry, I was wrong". They hurt the ones closest to their hearts, and we let the most foolish things tear us apart. Your clothes should be tight enough to show you're a woman but loose enough to show you're a lady. Just because you fail once doesn't mean you're gonna fail at everything. Dreaming about being an actress is more exciting than being one. Hollywood is a place where they'll pay you a thousand dollars for a kiss and fifty cents for your soul. I know, because I turned down the first offer often enough and held out for the fifty cents. If you're gonna be two-faced, at least make one of them pretty. I don't mind being burdened with being glamorous and sexual. Beauty and femininity are ageless and can't be contrived, and glamour, although the manufacturers won't like this, cannot be manufactured. Not real glamour; it's based on femininity. It's far better to be unhappy alone than unhappy with someone — so far.